Spicy Southwest Chorizo Rice Bowl w/ Fried Egg — Happy Food Co. BOIL 1 cup water in a small pot. 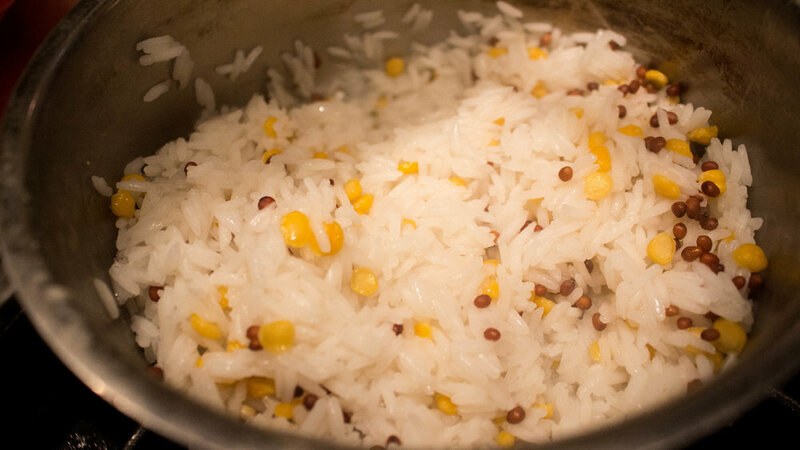 REDUCE heat to simmer and cook until water is absorbed, about 9 minutes. Season to taste with salt and pepper and set aside. SAUTÉ corn on high heat in small skillet until kernels are charred, about 5 minutes. COMBINE lime juice crystals with one tablespoon of warm water in a medium bowl. Stir until dissolved. ADD yuzu mayo and sautéed corn to the lime juice. Stir to combine and season to taste with salt and pepper. COOK chorizo over medium-high heat in same small skillet used to sauté corn. Make sure chorizo is cooked through, about 5 minutes. 4. PREPARE THE EGGS, SERVE & ENJOY! SERVE this delicious meal in two bowls with rice on bottom, topped with the corn mixture, chorizo, queso fresco and an egg. SPRINKLE with chipotle chili powder and cilantro and enjoy!